Obviously, as the chart above does suggest, it wasn't the most emphatic of victories for Instinct – with 38.8% of the votes, it was only 4.7% more popular than Team Mystic, which also broke more than a third of the votes with a 34.1% share of the popular support. What was most surprising, however, was the extent that Valor was trailing both of these teams. With only a 27.2% portion of the votes, it seems that Candela, Moltres and the allure of power over principles haven't struck the same chord with TouchArcade readers as it seems they have on a larger scale. 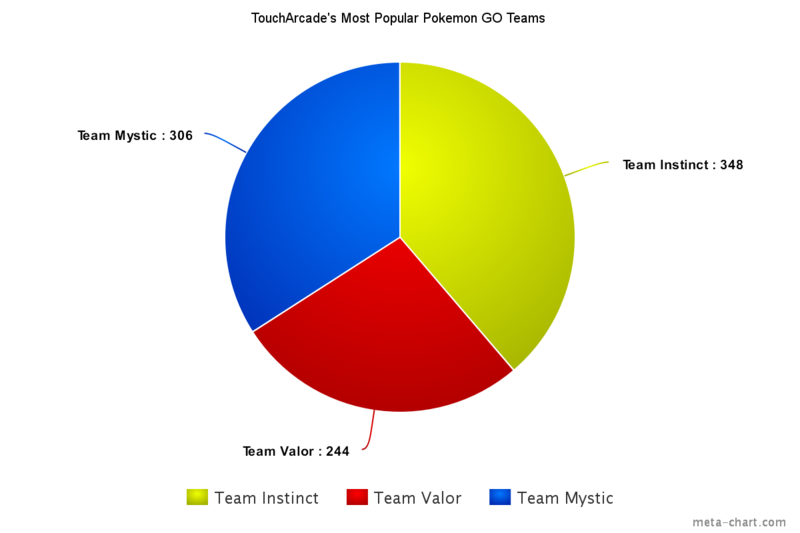 While I will happily celebrate a glorious Instinct victory, any members of Mystic and Valor should not be too down – the overwhelming consensus across the internet and the world is that Mystic, followed by Valor and then Instinct is the true order of popularity, and our 898 member poll isn't exactly a representative sample of the millions playing Pokemon GO at the moment. But, at the very least, TouchArcade is today yellow. What might be interesting to evaluate is why the results from our TouchArcade poll vary from the generally accepted status quo – is this a suggestion that Instinct, and Zapdos' objective and undeniable superiority, are more popular amongst gamers? 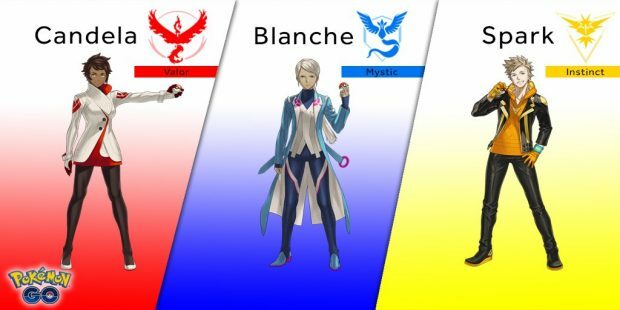 Whilst many famous Pokemon YouTubers appear to also be on Team Instinct, I wouldn't necessarily say this is a legitimate hypothesis – Mystic and Valor both have a large support base, and their colors of red and blue appeal better to fans of the original Pokemon titles as they represent the first two entries in the series. It may be that the spirit of the underdog has become prominent amongst players who are aware of Mystic and Valor's dominance, but again that is hard to tell. At an even more tenuous push, it could be that new players of Pokemon GO that read our guide last week were won over by my plea to join Team Instinct? Who knows. Either way, let us know why you decided to join your team, or share your jubilation/disappointment at this poll result, in the comments below, but remember – regardless of faction, we all share the common goal of being the very best, like no one ever was.